I am elated to announce that I am beginning my MSN in Nursing Education with FlexPath at Capella University starting July 10th, 2017. Taking the MSN plunge was a big decision, but I think it’s the best thing for my future. I know this can be a pretty big decision for many others as well, which is why I wanted to create this page to show you what it really looks like behind the scenes getting a graduate degree. 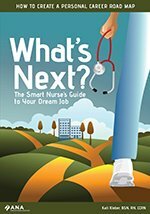 There are MANY different graduate options for nurses. It’s somewhat overwhelming trying to decide which degree is the best fit. I decided to get my MSN in Nursing Education because I love teaching nursing students how to be nurses. I love precepting new graduates. I love going to conferences and learning about innovative ways to educate others. Nursing education has evolved into my passion. I feel like I have done all that I can with my BSN within that role. I need an MSN to teach clinicals or be a nurse educator at a hospital. I also enjoy diving into research and know with a graduate degree I’ll understand it on a new level, which I believe is really necessary to get me where I want to be. I also feel that obtaining my MSN will add another level of credibility to my online role and the resources I want to create for new nurses. Nursing instructor goals right there. I plan on talking about things content-related, like the courses I’m taking, some of the challenges I’m facing, resources I’m leveraging, practically how the FlexPath program works (because it’s quite different from traditional online learning), my practice immersion experiences, and more. I’ll share blog posts, videos, images, and more. I also want to share how I’m fitting obtaining my MSN into my life. I’m currently a mom, wife, business-owner, nurse, and dog-mom who enjoys cooking, writing, podcasts, TV, game nights, avoiding working out, and tuning in for every single Harry Potter Weekend. I want to talk about practically how FlexPath allows me to still be able to stay present in the rest of my life while I continue my education (which was honestly the biggest reason why I chose this option). I’ll talk about what worked, what didn’t work, what was really hard, what came easier for me, and how it’s helping me professionally. I’ll talk about my competency map, how I’m leveraging my previous nursing experience into my progression, and probably how much I loathe APA. While I’m going to Capella, I’m not going to cram Capella down your throat. I went with their program because of their self-paced FlexPath option for the MSN and positive experiences colleagues have had with Capella. The goal of this is for people considering getting their graduate degree to really see what it’s like from a nurse-to-nurse perspective. I also won’t go through every single assignment. This page will be dedicated to my journey, but I’m going to prioritize what I share so that it’s not an overwhelming amount of information. Finally, I’m not going to tell you what you should or shouldn’t do every step of the way. This isn’t an advice column. I don’t want you to think that the way I’m doing things is the only way to do things. The wonderful thing about obtaining an MSN with FlexPath is that I can make it my own, unique to me, my experiences, my learning style, and my needs. Because of this, I’ll chat about what’s been working for me specifically based on my needs and strengths. Now that I’ve gone over what to expect from this, I want to know what you need. Talk to me! If you’re thinking about graduate school but aren’t sure about it… what’s holding you back? Do you know specifically what you want to do with your degree? What concerns you about grad school? What do you look for in a program? If you’d like to learn more about FlexPath, click here.